I have seen this recipe many times over the years but never tasted it until my son gave me a demo. It was lovely and moist and even the kids demolished it like there was no tomorrow. 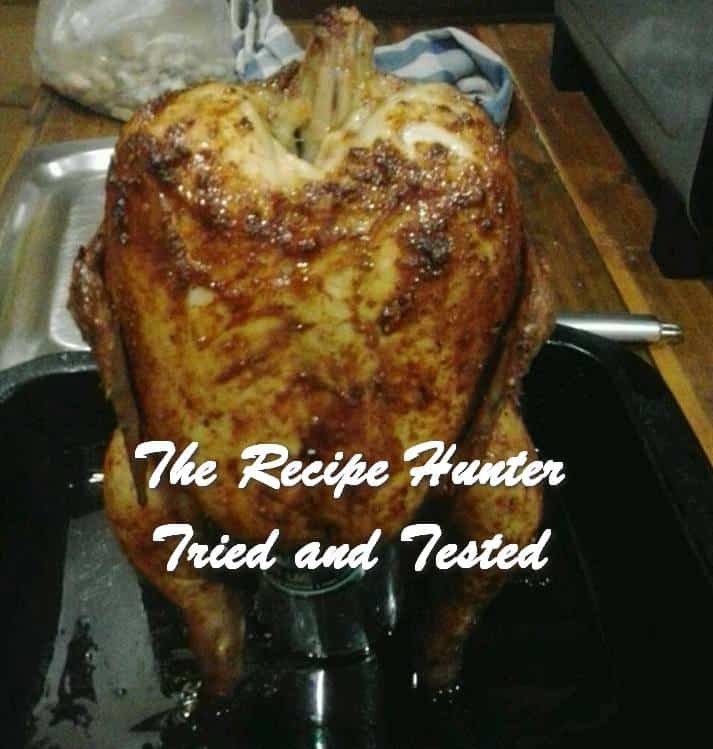 He tweaked the recipe as it would have been too hot for the little ones and served the sauce separate rather than basting the chicken at the end with it. But for all, you die hard spicy food lovers go ahead. Take one medium-sized chicken, a large can of beer, he used Heineken. Rub all this over the chicken, it gets messy guys. Open your preferred can of beer, drink half. 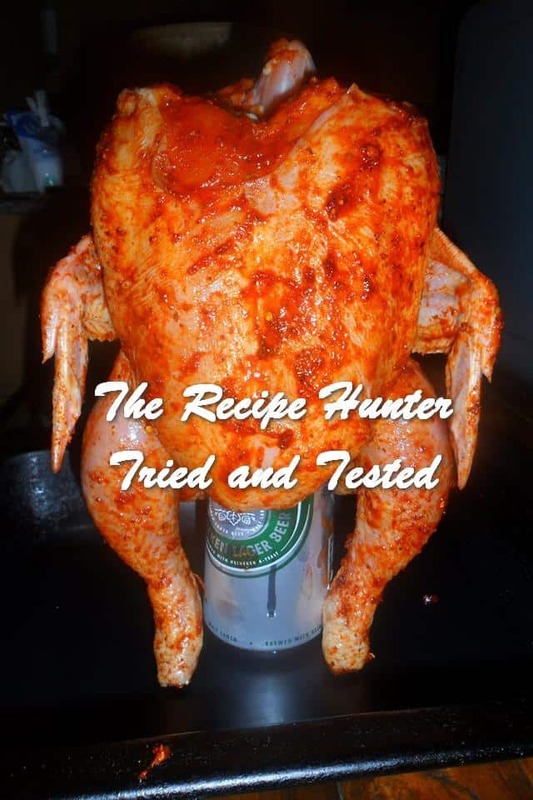 Then sit your chicken on the beer can and take a picture. We concurred and agreed that drinking half gave room in the can for the steam to rise, cook the chicken and keep it moist from the inside and also prevented a nasty explosion. Put it in a preheated oven at 200C and cook. Timing depends on the size of your chicken and ours took I hour 25 minutes. 5 minutes before the end of cooking take 100ml of your favourite spicy sauce, we used Sriracha and heat with 50gm butter until butter has melted and pour over the chicken and cook for a further 5-10 minutes. We did ours separately using the meat juices with the butter and sriracha and made a separate dipping sauce, because of the kids.